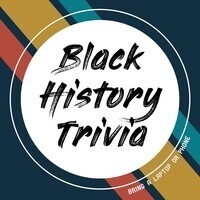 The Activities Programming Board and Delta Sigma Theta bring you Black History Month Trivia. We will be playing a few rounds of Kahoot, so bring a laptop or your phone. Pizza and drinks will be provided. We are giving away many awesome prizes, such as a Roku, an Echo Dot and giftcards!